8 LISTS The World of Wes AndersonLists about the works of the visionary auteur director of The Royal Tenenbaums, Moonrise Kingdom, The Life Aquatic, and other beautifully stylized favorites. 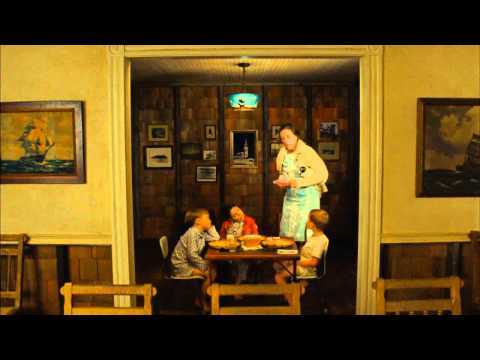 'Moonrise Kingdom' movie quotes represent the best lines from this 2012 Wes Anderson movie. The comedy film features an A-list ensemble cast, led by Bill Murray, Frances McDormand, Tilda Swinton, Bruce Willis, Harvey Keitel and Edward Norton, among others. In 'Moonrise Kingdom,' the search for a pair of young lovers who've run off together turns into something much more. See a favorite quote from 'Moonrise Kingdom' listed here? Vote it up, by all means. And, if you know of a great 'Moonrise Kingdom' quote that's missing, add it to the list! In 'Moonrise Kingdom,' the search is on for two missing 12-year-olds. Sam Shakusky (Jared Gilman) and Suzy Bishop (Kara Hayward) have fallen in love, and decided to run away together. Leading the search party is led by the local sheriff, Captain Sharp (Willis), Suzy's parents, Walt and Laura Bishop (Murray and McDormand) and Khaki Scouts Master Randy Ward (Norton) . 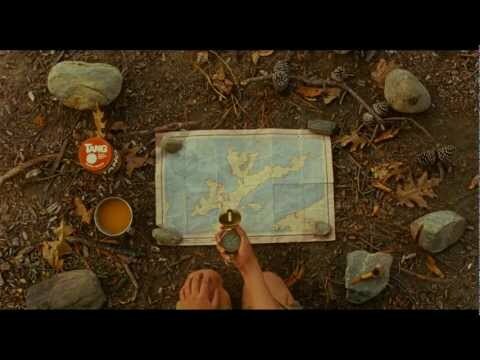 Set in the mid-1960s on a picturesque New England island, 'Moonrise Kingdom' received rave reviews by movie critics, after premiering at the 2012 Cannes Film Festival. FYI: 'Moonrise Kingdom' is the sixth movie that features the teaming of Wes Anderson and Bill Murray. Mrs. Bishop: "Walt, where the hell are you?" Mr. Bishop: "I'm right here. Why are you cursing at me?" Mrs. Bishop: "Does it concern that your daughter has just run away from home?" Mr. Bishop: "That's a loaded question." Mr. and Mrs. Bishop (Bill Murray and Frances McDormand) don't exactly have an ideal relationship. In fact, it's an awful one. Their already troubled union is about to be tested in a major way, when their eldest child, daughter Suzy, runs away from home. Social Services: You're Captain Sharp?" Social Services: "I'm Social Services. I remanded the boy into your personal custody. You're responsible for his safety, and I'm told that he's just been struck by lightening." Captain Sharp: "That's the first I've heard of it." Scout Master Ward: "It's true." Social Services: "Scout Master Ward, I presume?" Scout Master Ward: "Yes ma'am." Social Services: "Your reputation precedes you. You two are the appallingly incompetent custodial guardians Social Services has ever had the misfortune to encounter in a 27-year career. What do you have to say for yourselves?" Captain Sharp: "You can't do this. They'll eat him alive in there." Captain Sharp (to Scout Master Ward): "What's the name of the place again?" Scout Master Ward: "Juvenile Refuge." Captain Sharp: "Juvenile Refuge. It sounds like jail." Just find the boy and deliver him to Social Services. Nothing else is in your power." 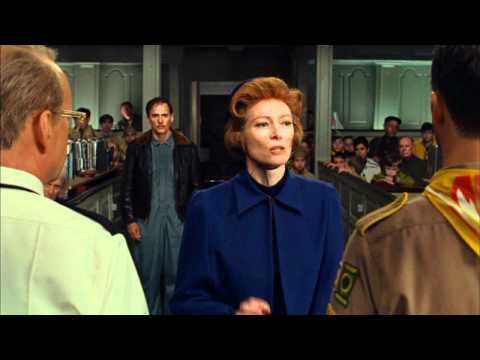 Social Services (Tilda Swinton) gets involved when the kids go missing, specifically, she wants to take custody of young Sam. And yes, her name is really Social Services, and she speaks in the third person. Scout Master Ward: "Jiminy Cricket: He flew the coop!" Scout Master Ward (Edward Norton) is a math teacher who takes his job as Field Officer for the Khaki Scouts (Troop 55!) very, very seriously. Obviously, when Sam flies the coop, he's deeply concerned. Sam (to Suzy): "Dear Suzy, walk four hundred yards due north from your house to the dirt path which has not got any name on it. Turn right and follow to the end. I will meet you in the meadow." Ah, young love: Clandestine meetings in beautiful meadows, how wonderful! Sam and Suzy's decision to run away together sets off a crazy chain of events, as Suzy's parents and the locals all try to find them before a terrible storm hits the island.